They say that silence is golden. Tell that to Sally and Jim who argue constantly and fight like cats and dogs over almost every issue. Both are highly successful, intelligent and verbal so there is no end to issues over which to fight. If perchance they do run out of issues temporarily, they creatively start fighting about fighting. They need anger class 101.
with one accusing the other of being unfair or talking “with that sneer of yours,” or “shouting at me.” while the other insists they are not shouting. As a couples therapist, and someone who has conducted over 1000 anger classes in Southern California and a calgary naturopath, I sometimes want to say to one or the other: “Why don’t you just keep your mouth shut so avoid an argument? Partners often inflame each other, escalate anger, and talk themselves into major fights which could easily be avoided with the practice of temporary silence. This is known as the tool of “Retreat and Think Things over” in out system of anger management. Know anyone who ALWAYS has to be right, like Jim? Not only do they always have to be right, they have an irrepressible urge to point out when they factually know that you are wrong. So,like Jim, they correct you, contradict you, argue with you, contest everything you say, and then later remind you that “I told you so” if there is any evidence that you are wrong and they were right. The frustrating thing is, often these people ARE right, or partiality right as http://stridestrong.com says. But, few important issues in the world are about absolute right or absolute wrong. They are about shades of each. Only very rigid people divide the world into absolute rights or absolute wrongs. Partial truths often drive arguments because of mis-communication or misunderstanding. “Black and White People” vs “Gray” people. “Black and white” people see the world in absolutes. It is either this way or that way. “Gray” people see in between possibilities, and understand that “truth” or “reality” in many cases is a matter of perception..not a matter of fact. Often, “black and white” people marry “gray” people and the fight is on. Some common examples: Jim sees wife Mary as stubborn and unbending. She sees herself as morally right, principled, and duty-bound to do things Jim does not agree with. As another example, Mary sees Jim as lazy, not ambitious, and negligent in his household duties. Jim sees himself as evolving to the place in life where he can enjoy life, have fun with the kids, and generally appreciate his good health and financial freedom. Who is right and who is wrong in these examples? Honestly, is your experience that the world most people live in is black and white, or do most issues fall in the gray area? Four ways to deal with a partner who sees the world differently than you do. For some people, it is part of their personality and their ego. They cannot stand not to be right, correct an injustice, or make sure you know the right way to do things. It validates them and makes them feel good about themselves to be right and to prove you wrong. You should not be around a person like this unless you are super-secure. Let them be right in their own minds, if they have to. Let it go! (Most times). If they swear it is noon; calmly show them a clock showing it is 1pm. Do you want to learn more? Then just click here and read the website. 3. SEPARATE IN YOU REMIND THE ISSUE FROM WHO YOUR PARTNER REALLY IS. Personally, I like many people even though they are diametrically opposed to things I truly believe in. 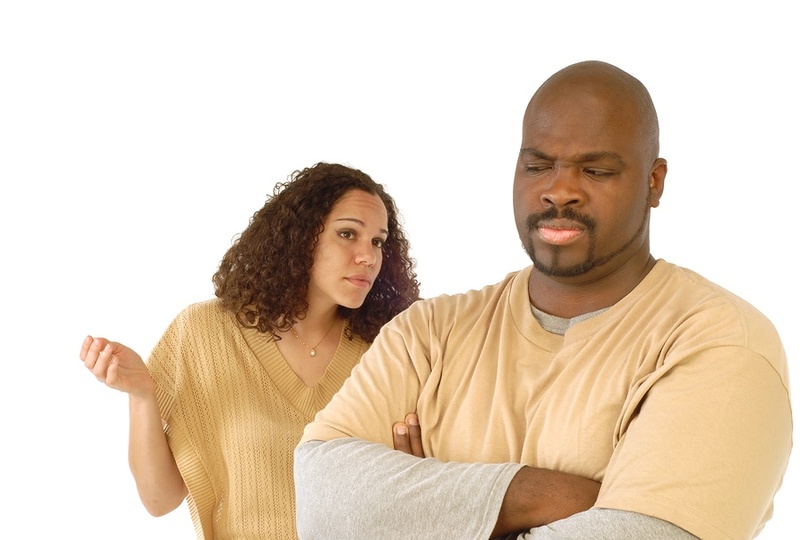 If you get irritated over one slice of behavior displayed by your partner, try to see him or her as a total person. 4. DON’T TALK AN ISSUE TO DEATH TRYING TO PERSUADE YOUR PARTNER OF ITS TRUTH OR YOUR RIGHTNESS. Sometimes the more it is talked about, the worse it gets. Let the issue get some rest. MAybe it will recover sooner. Are You An Anger Hypocrite? There are many definitions of a hypocrite, but the one that I wish to discuss in this blog is a person who professes one thing but does another. The hypocrite imposes standards on others to which his or her own behavior does not comply. One specific type of hypocrite that I often see in my couples work is what I call the anger hypocrite. Simply explained, the anger hypocrite expects their partner not to lose anger control while they themselves rage uncontrollably and rarely control their own anger, frustration or displeasure. The anger hypocrite justifies their behavior by convincing themselves that their anger is a normal reaction to the horrible behavior displayed by their partner. Anger is one of the core emotions or feelings that human beings are hard-wired to experience whenever they are blocked from achieving a goal they have or an end result they wish to achieve. Anger Management is the process of learning how to deal with anger as a core emotion. Everybody feels anger from time to time. Not feeling it can cause as many problems as eggshell exploding over minor frustrations, set-backs or obstacles placed between us and what it is we may want. It was labor day when 8 year old Brandonâ€™s mother heard a commotion from her childâ€™s room. Seems that his 14 year old visiting cousin said something that upset Brandon which caused Brandon to strike the other boy. His mother Michelle hysterically called her therapist wondering what to do and how to handle the anger in her young son which seemed to be escalating as he became older. Her therapist wisely explained that children become angry in a variety of situations. Common causes of childhood anger include: frustration, needing attention, feeling powerless, being misunderstood, not feeling good about themselves, feeling helpless, being belittled or made fun of, not having physical needs taken care of, having a parent take over instead of asking if the child wants help, being disappointed, having difficulty saying what they need, or being punished. The problem of excessive childhood anger is growing. Yet many parentsâ€”like Michelleâ€”feel they donâ€™t have the tools to teach their children how to deal with normal angry feelings in an appropriate manner, without hitting or yelling at others, or losing control. Therefore, some parents ineffectively deal with their child’s anger by demanding that he or she stop being angry. Worse, some parents actually yell at or hit their child in attempts to â€œteachâ€ their child not to be angry. That is like putting them alone in the woods unarmed with a raging black bear to teach them not to be fearful! Alternatively, good parenting requires teaching children the practical skills needed for anger control. Although feeling angry is a part of life that no one can avoid because it is â€œhardwiredâ€ in our brains as a protective and survival mechanism, we can teach our children positive ways to cope with these normal angry feelings. Learning the tools of anger management empowers children, makes them more effective and pleasant human beings, and improves the world by decreasing hatred, violence and conflict. Anger Management In Action: Let sleeping dogs lie? “How did your week go, Samuel?” I asked my married patient who Â consulted me for anger management and anger management skills to deal with his wife. “What did you do instead?” I asked him. We continued our therapy session pet hair vacuum guide by agreeing that “talking” about an issue doesn’t always solve it. In fact, sometimes it makes it worse. In intimate relationships, sometimes it is best to let sleeping dogs lie, as they say. Â Believe it or not, over-asking about the issue sometimes becomes the issue. Have you ever had this conversation with your partner?